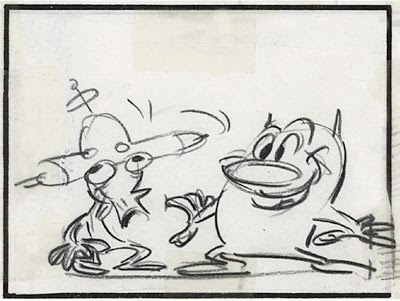 As we all know, cartoons ideas and stories are written with drawings, accompanied by words for dialogue. 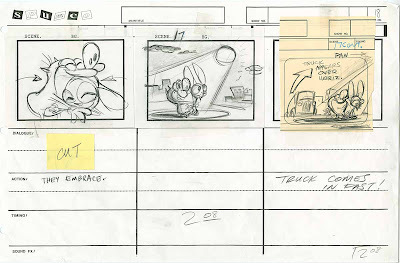 The drawings don't need to be finished, totally on-model drawings of the characters. 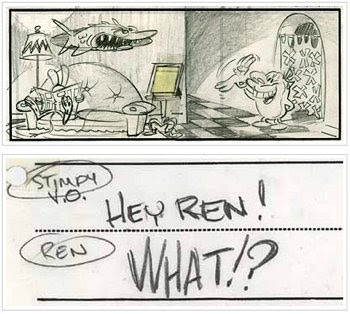 The cartoon story writer has to be more concerned with the story- continuity, acting, staging, gags clarity. If the story man has to worry about doing cleaned up perfectly on-model characters and finished background drawings, then his mind is not free to think about story. The storyman wants to show the continuity through the characters. The characters need to appear spontaneous and alive and motivated from within. 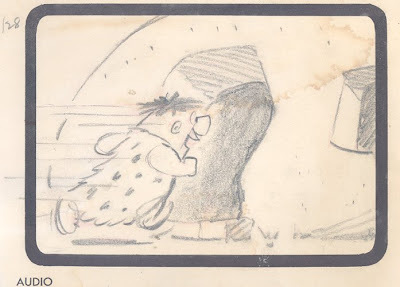 A really good story man can draw fast and confidently, which automatically gives the continuity a spontaneous - this is really happening now - quality to the work. 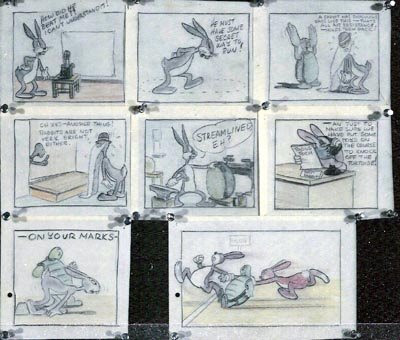 That's why storyboards are generally simple and don't have a lot of extraneous detail. 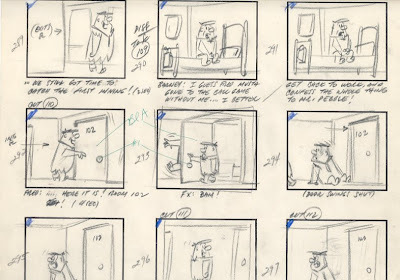 When you see a storyboard that is very clean and does have a lot of intricate detail, you can assume that the artist was not thinking about the story. 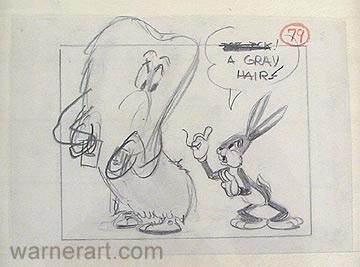 He might have been thinking about impressing an executive, or preparing the drawings so that an overseas studio can just xerox them up to use for layouts, which is a very wrong use for storyboards. It generally adds up to general stiffness, lack of spontaneity, formula staging and storytelling. The story artist still needs to use some of the same tools that other cartoonists use-clear silhouettes, line of action, opposing poses. All these tools make the acting and story clear and easy to read. They give direction and purpose to the ideas. He needs to understand the characters and the dynamics between them, so that he doesn't draw each character acting and posing the same way. 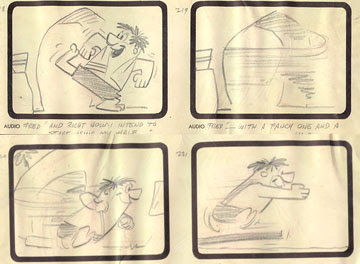 Here are some Dan Gordon storyboards for the first Flintstone cartoon. Lots of life and spontaneity. 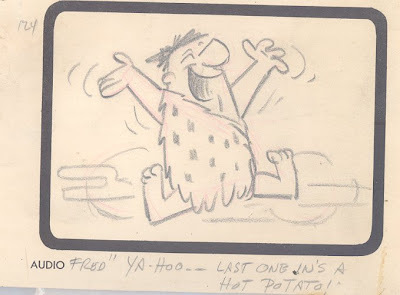 Here's a Flintstone board by someone else with no life and formula staging. 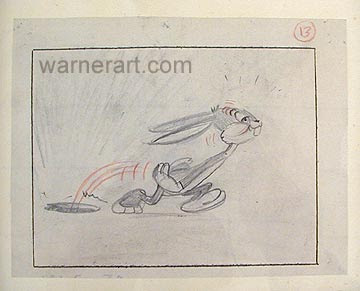 This started the trend towards cartoons where the cartooning doesn't matter. The characters just become surrogates that exist only to mouth the generic words of the people we've come to call writers - who are really just "writers - for -hire", a totally different animal than an actual writer. 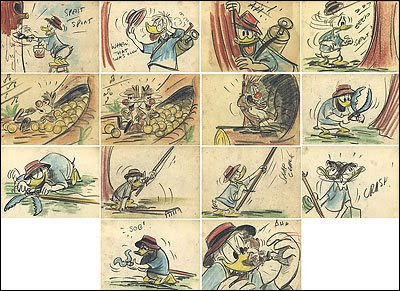 The irony is that it was probably cartoonists themselves that started this horrific trend, and made it easy for non-cartoonists to take over our business. 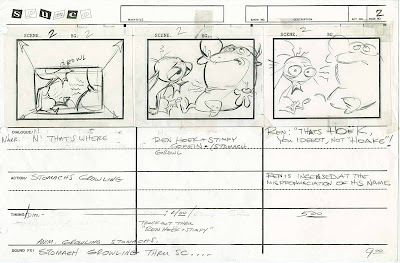 There are a series of semi-historical articles at the animation archive that tell how storyboards and the general writing procedures evolved at animation studios. Pretty interesting and very logical.